The stadium lights have been installed at the Panaad – done Pinoy-style of course; i.e. in the proverbial last minute. I read somewhere that some of the lights were brought over from Bacolod’s other arena, the Paglaum. It does not matter. If the lead picture is any indication, then the lights are bright and worthy enough for the coming international football match between the Philippines and Mongolia. 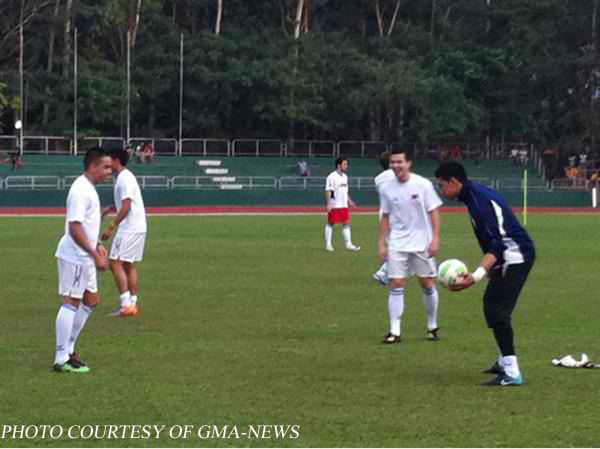 ABS-CBN has been doing a damned good job of keeping the Azkals in the public consciousness. So good, in fact, that somebody from the Philippine Olympic Committee felt impelled to complain that the team has getting too much publicity. Crab alert! Crab alert! 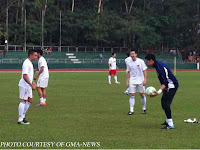 At any rate, from the short video clips the network had been showing on TV Patrol to build up interest for the match, I could not say that I was too impressed with state of the Panaad pitch. In that clip covering the training match against the Negros selection, I could only grimace at the ugly patches all over the field. If you follow world football like I do, then you know that I am not just being fussy. 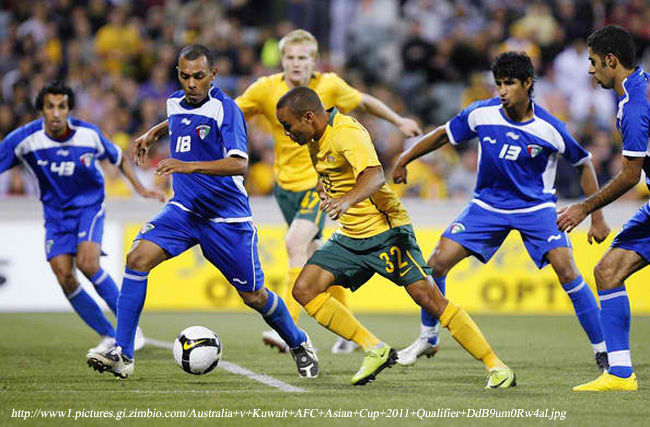 In Qatar, for instance, where the Asian Cup was held just last month, the pitches looked beautifully manicured. Football, in a manner of speaking, is no different from the culinary arts: it is as much the food as the presentation. However, I may yet change my mind. Take a look at this picture taken just of this afternoon’s training session. The pitch looks even and lovely. I just hope it looks just as good from the air when beamed by live television cameras. I have been asked quite a few times if I would be making the trip to Bacolod. No, I was always polite to reply. I would have considered going if the fixture was on a weekend; but there is this thinking in football that international matches are best played on weekdays so that players can return to club football for the weekends. Still, the importance of the match is not lost upon me; and primarily because I never in my wildest dreams ever foresaw that a football match involving the Philippine National Team would ever be sold out in my lifetime. The game against Mongolia is, though. Not only that; even the President of the country is booked to attend. Do not ask me anything about the Mongolians. Try Googling its football team and your searches will yield next to nothing of interest. Their national team is ranked 182 this month by FIFA; ours is at 152. The 30-point difference means nothing on the football pitch, of course. We will all see, I guess. 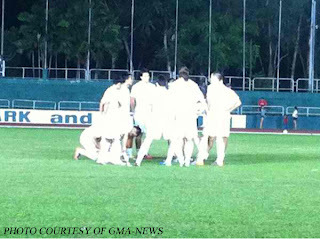 The spine of our team has been in Bacolod for a while now to prepare for the match. The Fil-Europeans have also started to arrive. Fil-Icelandic Ray Anthony Jónsson and Fil-Dutchman Jason de Jong arrived late last week. Neil Etheridge touched down at Silay Airport around three this afternoon and has already trained with his teammates. Defender Rob Gier is still in transit but is also expected to join the party. There is a trickiness to this match that those in football may not be aware of. First, our team is no longer the mystery package. Our semi-final run in the last Suzuki Cup means that any football team that lines up next to us will have scouted our strengths and weaknesses. Second, in any home-and-away tie, it is thought of as something of an advantage to play the second – rather than the first – leg at home. This way, the home team already knows how much it has to perform to win the tie with the added benefit of playing before its own crowd. 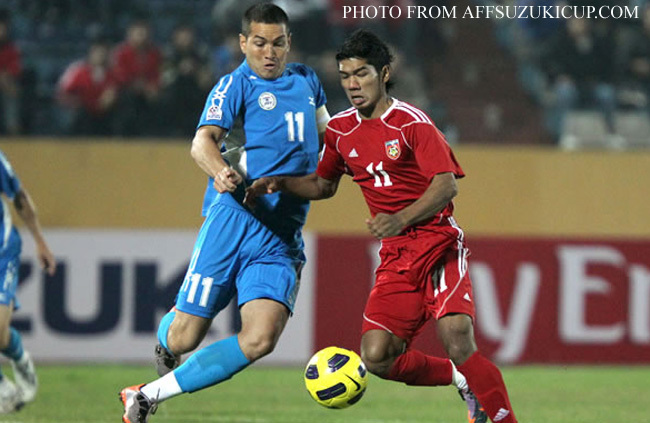 Win big, of course, and the Azkals nullify the disadvantage of playing the second leg in Ulan Bator; which will be freezing, it has to be said. Finally, for this game, a whole nation expects. In the old days – which would be just late last year, pre-Suzuki Cup – nobody cared whether our football team won or lost. This time around, there is a fickle mass of support which is exactly that – fickle. 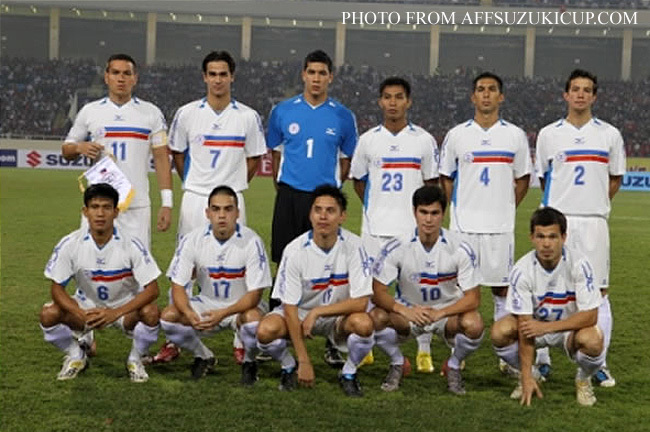 Win this tie and support for the Azkals – and football in general – can really snowball. Lose and – yeah, well – we were never a football nation, anyway; and it was fun while it lasted. That said, I had seen enough during the Suzuki Cup to have supreme confidence in our boys. Remember we lost two semi-final legs to the Indonesians by mere 1-nil scorelines with both matches played at the Bung Karno? To put that achievement in perspective, although the Indonesians finished bottom of their Asian Cup 2011 qualifying group, they did manage draws against Oman, Kuwait and Australia. The Aussies, of course, finished the Qatar tournament runner-up to Japan.